Who wouldn’t love to have a car that runs on electricity and renewable fuels rather than petrol? There have been increasing number of green cars lately with manufacturers rushing to push their bit into the market. Here are a few you would love to posses! 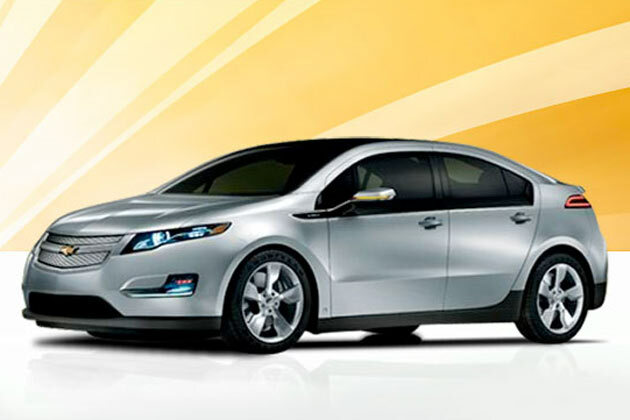 The Chevrolet Volt is expected to be here by the end of 2010 and can run for about 40 miles on a single charge. There is a catch. Beyond those initial 40 miles, the car powers its batteries by a small petrol engine which kicks in to charge the batteries. This Indian green car is all set for 2011 launch in India. 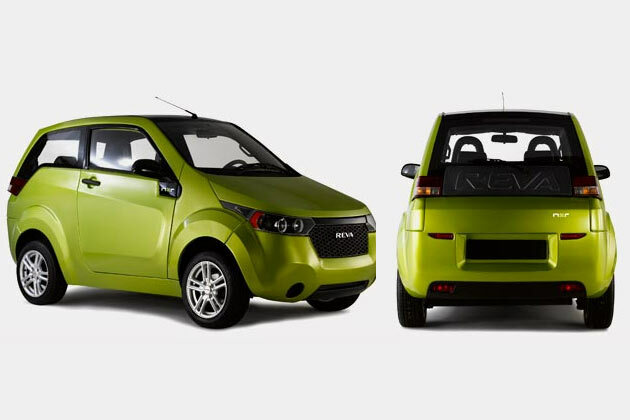 The car made by Mahindra-Reva, has a top speed of 65 miles per hour and a single charge lasts for up to 90 miles! The Reva NXR comes with a fast charge option that can charge the batteries in 15 minutes that lets you drive about 25 miles. Nissan Leaf is the talk-of-the-town green car. This five seater electric car can run for about 90 miles on a single charge and has a top speed of 85 miles per hour! 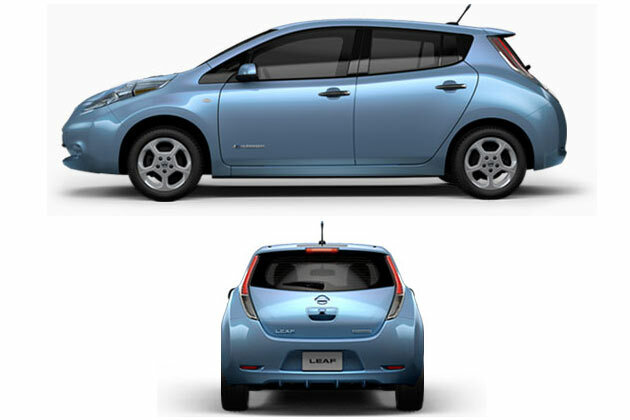 “Leaf” is an acronym for “Leading, Environmentally friendly, Affordable, Family car”. Other features include 4-wheel Anti-lock Braking System (ABS) and a Nissan Navigation System. 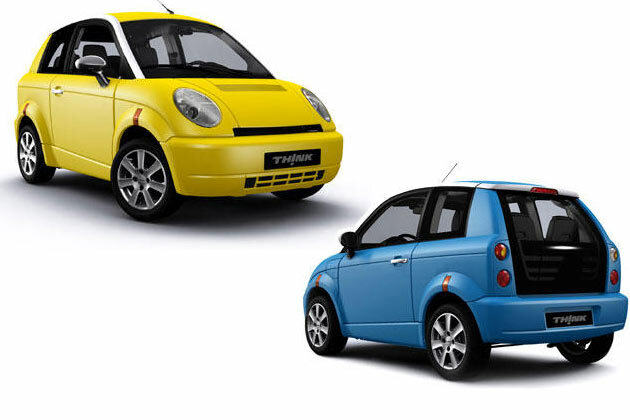 The car is set to go on sale in Japan and the US by December 2010. Looks like something from mars but the Aptera 2e is one of its kind. 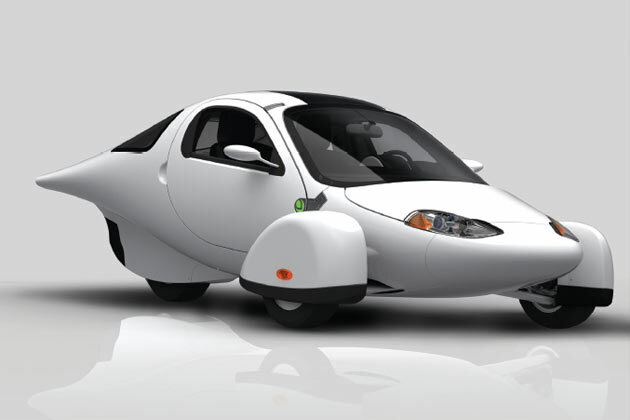 Set to go into production in 2011, the Aptera 2e electric car looks more like an aircraft or a small plane. The car is aerodynamically designed for efficiency. It seats two and has a top speed of 85 miles per hour and can do a 0-100 in about 9 seconds. It can travel a distance of 100 miles on a single charge. 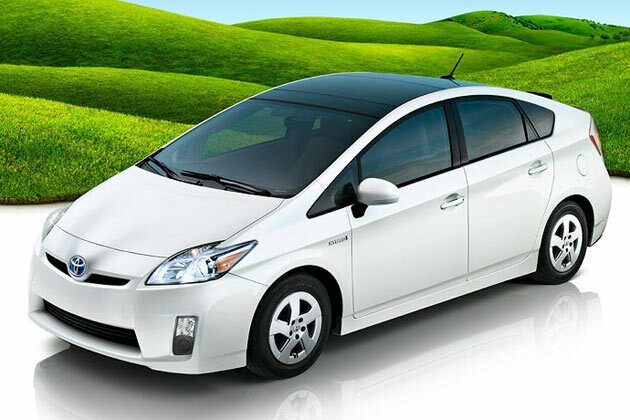 Toyota Prius is the first mass produced hybrid vehicle and has had impressive sales around the world. The model is also noted to have kick started the hybrid and green revolution in the automotive industry. If you were looking for power, style and speed in an electric car, look no further. 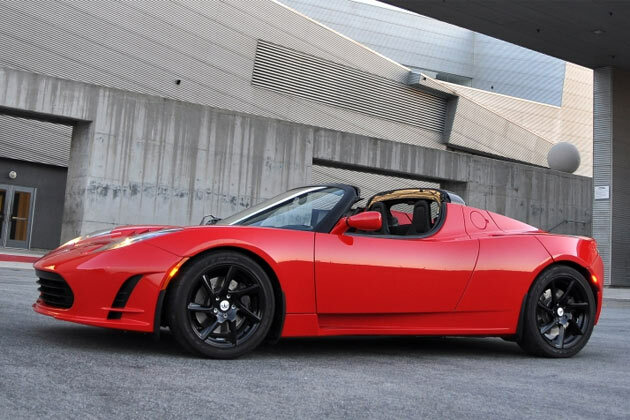 The Tesla Roadster sports car can do an an impressive 0-100 in about 3.7 seconds and can run up to 280 miles on a single charge! It has a 288 bhp comparable electric engine that can make the car go to speeds up to 120 miles per hour. 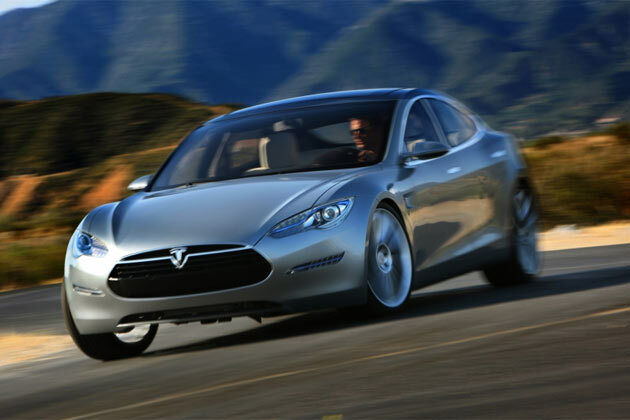 When compared to the Tesla Roadster, the Tesla Model S has a slightly slower acceleration with 0-100 in 5.6 seconds. But it has much higher range of about 380 miles on a single charge! 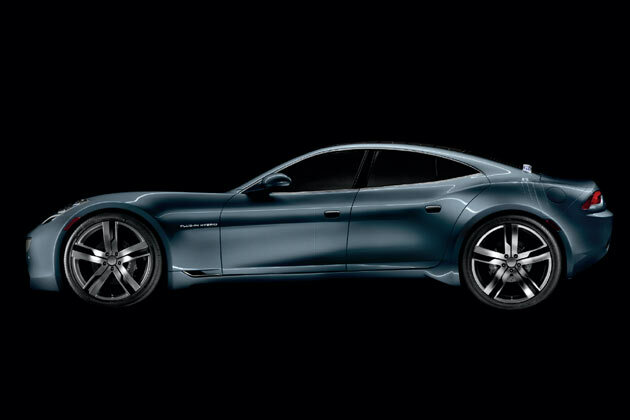 It is set to be produced in 2011 with deliveries to begin in 2012. Also the Model S can seat seven people. This plug-in hybrid sedan is powered by both, an electric motor as well as an internal combustion engine. It can read a top speed of 90 miles per hour when running only on batteries and can run a 0-100 in about 7.9 seconds. A single charge lasts up to about 40 miles and the internal combustion engine kicks it there after. A nice small car meant for some daily city driving and a great one for students! The THINK city can travel up to 100 miles on one charge! It has a top speed of 70 miles per hour. 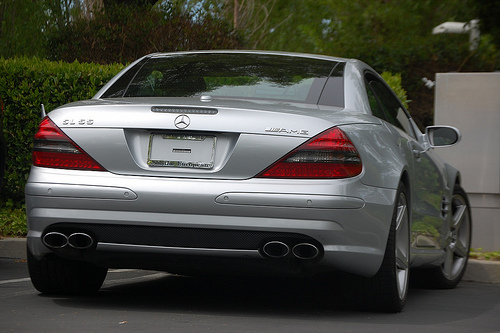 It seats two and can do a 0-50 miles per hour in 16 seconds which makes it quite slow to start with. 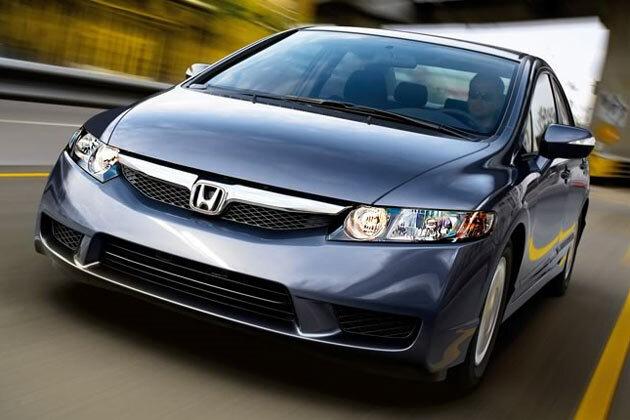 No list is complete without the Honda Civic Hybrid in it. With a fuel efficiency of 45 miles per gallon, the 1339cc car gives you all the comforts of a family car and a full fledged sedan. Previous Nice! High Tech Bathroom Provides Instant Health Check!